Deemed as one of the best cities to live in, Ahmedabad is the pride of Gujarat. This spacious city is famous for its kite festivals during Uttarayan, and the Navratra celebrations of Ahmedabad are famous throughout India, and even some parts of the world. The largest city of Gujarat is not a title given to Ahmedabad for nothing. It is, in reality, a sprawling city with a population of over 6.3 million, and the seventh largest metropolitan of India. The Sabarmati River flows through this city, giving it a charming appeal overall. Gandhinagar, the capital city of Gujarat is a mere 30 kms from Ahmedabad. 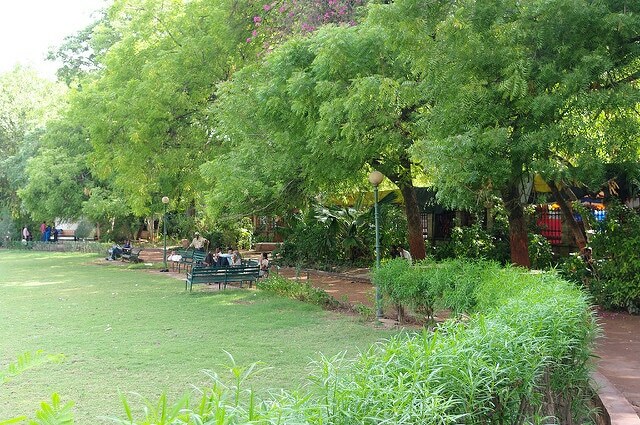 Let us take a look at a few things to do when in Ahmedabad. Textiles and fabrics of Gujarat are famous throughout India, and embroidery being its forte, Ahmedabad houses this popular museum of textiles that showcases the history of cultural influence of the state in textiles, where you can find antique fabrics as well as those of modern, and not only that, it even consists of textile culture of all over India. Kashmiri shawls, double ikat cloths, and the likes that took years to fashion and over 10,000 threads that were dyed before creating exquisite fabrics worn by royals of Gujarat. The morning and evening tours span the entirety of the museum, taking you through the years of intricate creation of fabric and textile. You can witness the brilliance that is embroidery and thread work. The amount of stringent focus that goes in on fabrics can be viewed, which makes the whole process very absorbing. Ahmedabad is recognized most by the existence of the Sabarmati Ashram in its vicinity. 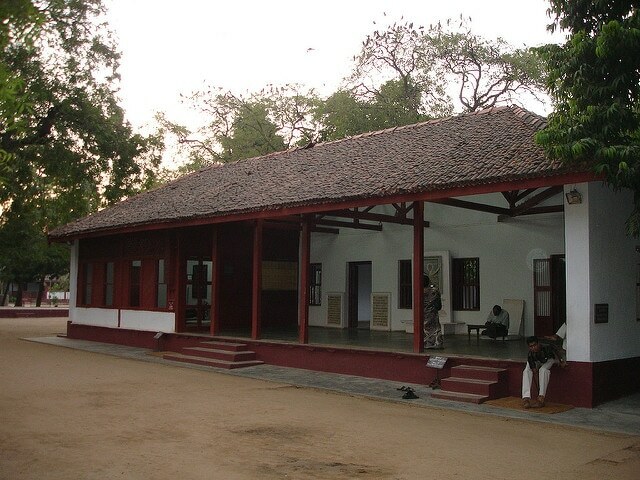 On the western banks of Sabarmati, this Ashram is perched upon a quaint and serene surrounding. Mahatma Gandhi’s headquarters, this Ashram was resided in by the great man himself as he fought for the independence of our country during the British Raj. It was from Sabarmati Ashram that Gandhi embarked upon the demanding journey that was the Dandi Salt March. Relics and memoirs of Gandhi are preserved in the Ashram today, making it an interesting walk down history lane. Tourist walks through the city are carried out by many hotels, and one of the famous ones is the House of MG Hotel, which undertakes such intriguing expeditions through Ahmedabad. Taking a heritage walk through the city showcases the culture and heritage of Gujarat by touring the olden time areas of Ahmedabad. Historic and cultural regions can be explored through the Breakfast Walk or the Night Walk, both times the experience is truly different, and much appealing and fascinating for visitors. 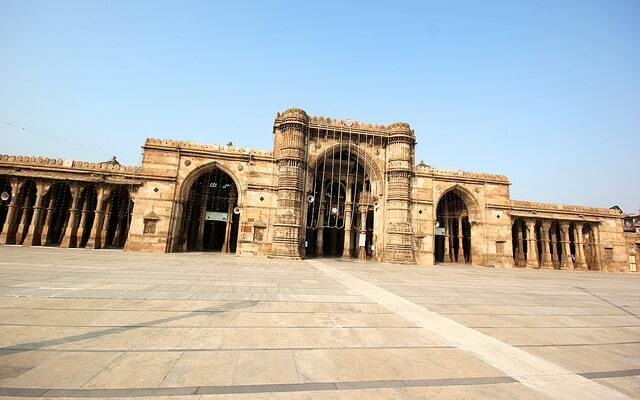 Famous as one of the well-designed mosques of India, Jama Masjid in Ahmedabad is a magnificent edifice. It was built by Ahmed Shah in the year 1423, and the sprawling, vast courtyard is an example of how beautifully constructed the mosque is. The mosque is famous for its brilliant architecture, and the dome and central doorway consist of Jain and Buddhist carvings since the parts were taken after demolition of said temples. Earthquake effects are noticeable in the build, but the mosque continues to stand as an architectural wonder. The true representation of Gujarat is in its culture. Arts and Crafts of Gujarat are displayed in the Law Garden Night Market, which is a lively and bustling marketplace where tourists gather in large numbers to shop the most interesting things available. Jewelry, costumes, embroidered skirts and blouses from Saurashtra and Kachch are presented in the market that brims with the true spirit of Gujarat, and more importantly of Ahmedabad itself. A visit to this market is certainly a must for a tourist. Gujarat’s culture and heritage is well presented in the city of Ahmedabad, and it truly does provide a very enlivening experience to a tourist or visitor.